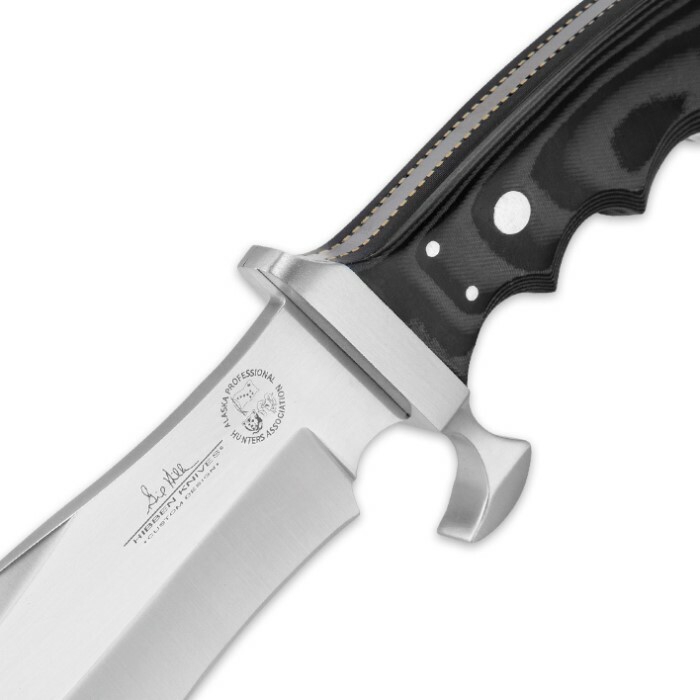 Gil Hibben Alaskan Survival Knife with Sheath | BUDK.com - Knives & Swords At The Lowest Prices! 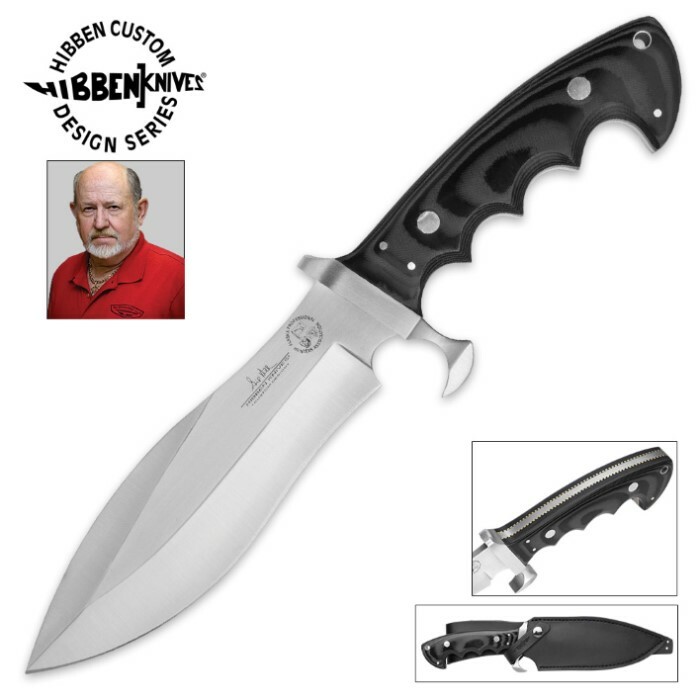 This knife was designed by master knife maker Gil Hibben, an avid hunter and fisherman. His firsthand experience as an Alaskan hunting guide contributed to the design of this custom knife, which is used and fully endorsed by the prestigious Alaska Professional Hunters Association. 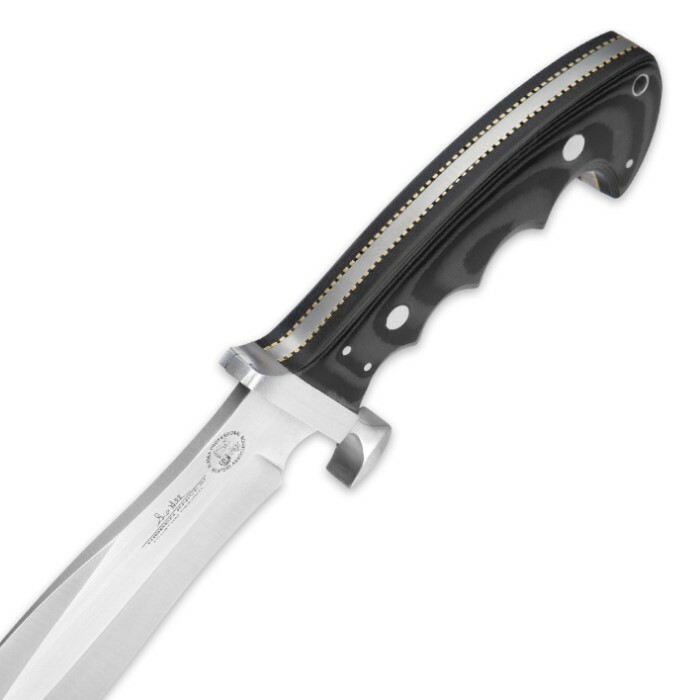 It has a 6 7/8" laser-etched, 420J2 stainless steel blade with the Hibben Knives logo and Alaska Professional Hunters Association Seal etched on it. A premium quality, genuine leather sheath is included.